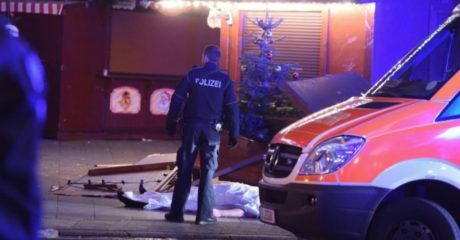 A truck in Berlin plowed into a crowded open air market, killing at least 12 people and injuring as many as 50 others as Germans celebrated the Christmas season with traditional outdoor festivities. Police say the crash occurred outside the landmark Kaiser Wilhelm Memorial Church Monday evening, and later reported the suspected driver had been arrested near the scene. A second occupant found inside the huge vehicle died at the scene while undergoing emergency medical treatment. But hours later, police still stopped short of labeling the crash as terrorism, and German Interior Minister Thomas de Maiziere said circumstances surrounding it were not clear. “But a lot pointed to an attack,” he said as investigators sought to identify the suspect and his connection to the deceased occupant of the truck, which carried Polish license plates. Witnesses said the popular Christmas market was packed with tourists and locals when the truck, believed traveling in excess of 60 kilometers an hour, slammed into it. Authorities said the vehicle was loaded with steel beams. The crash came just weeks after the U.S. State Department called for caution in market places and other public sites across Europe. A published U.S. travel alert said extremist groups were focusing their attention “on the upcoming holiday season and associated events.” It also warned U.S. citizens on the continent to be on the alert for “self-radicalized” extremists, who it said could strike without warning. 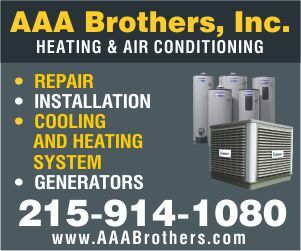 The Associated Press quoted the Polish owner of the truck as saying he feared the vehicle, driven by a relative, may have been hijacked. Ariel Zurawski said he last spoke with his cousin several hours before the crash, and was told that the truck was set to be unloaded Tuesday. “They must have done something to my driver,” Zurawski told German TV24. French police linked that July 14 attack, which killed 86 people and wounded more than 400 others, to a Tunisian national with reputed links to Islamic State extremists. Suspect Mohamed Lahouaiej-Bouhlel has not yet gone on trial.